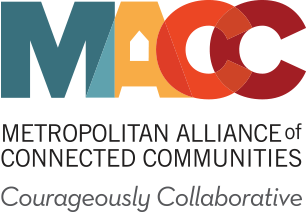 Our mission is to build the connections, collective expertise and collaborative solutions that strengthen member organizations and maximize our collective impact for the individuals, families, and communities we serve. We believe organizations that collaborate with one another propel their work to greater impact. Working together, our member organizations serve individuals, families, and communities more effectively. Our five core values define who we are and foster the trust that makes courageous collaboration possible. · Relationship-driven: We continually build connections to achieve more. · Courage: We push past what’s comfortable for greater impact. · Equity: We create access to opportunity for everyone. · Excellence: We strive for continual learning and growth.